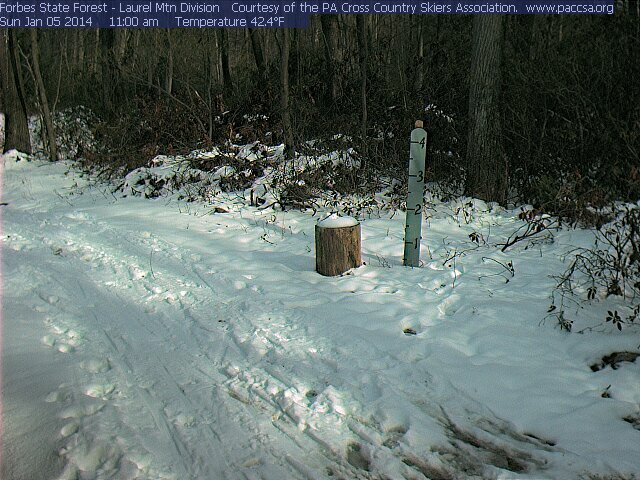 Yep, we moved the webcam at Laurel Mt. DCNR is plowing where we had it pointed before. This is still Summit trail behind the warming hut. Now go do your snow dance.